Elly Blue traveling Portland by Bike. It’s a travel guidebook, but with a twist. You know all the good stuff at the front of most guide books about local history, catching the bus, which bridges you can bike over, and tips for doin’ it like a local? That’s what’s in our printed guide–but geared towards bikers. Meanwhile, all our specific listings—like where to rent a bike and what awesome events are going on while you’re in town—will be on the web where they’ll never be out of date. Don’t worry, the printed version tells you the places you can go to use the web. If you want even more tips for your trip, we’ll send you a custom itinerary based on your interests, complete with bike routes to get there. The guidebook will be locally printed and full of gorgeous images by local “drawist” Matt Gauck. It will be bursting with our years of observations and collected tips. It is our hope that with this book on hand anybody on any budget can hop off the train in Portland and immediately be biking like a local. Elly and Meghan are currently crowdsourcing funding for the publication of the companion travel guide. Check out their Kickstarter page, watch their pitch video, and see if this is the sort of bikey project you want to support. 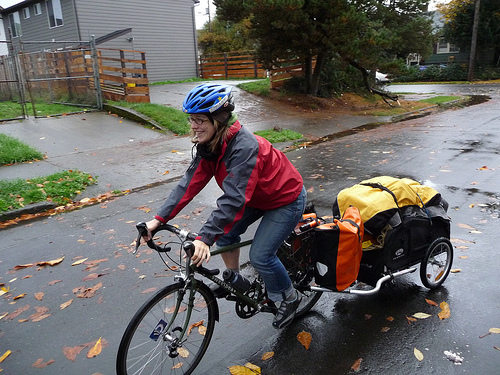 Elly Blue is a bike activist. 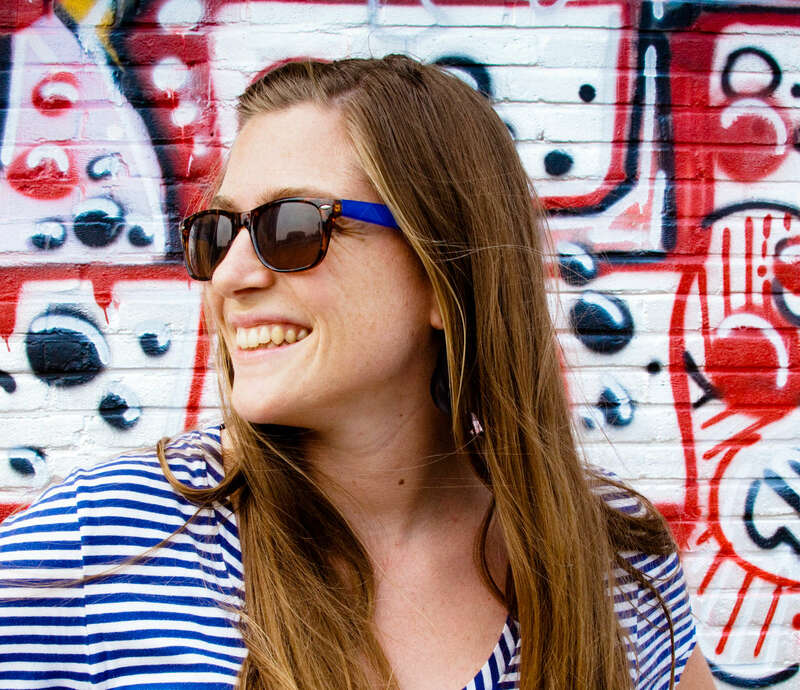 She also writes a column for Grist, contributes to BikePortland, writes and edits a zine she started called Taking the Lane (the first issue of which I reviewed for PubliCola this summer), went on a nationwide speaking tour, and organizes bike events, meetings, and conferences. She paused for a moment to tell me about her foray into bike activism, some of the barriers women face in cycling (and in life), and why Portland isn’t always the biketopia it’s cracked up to be.